The Town of Los Gatos takes its responsibility for minimizing risk from flood, fire, earthquake, or other disasters seriously. A few months ago, I began to notice “Flood evacuation route” signs. First I noticed it along Blossom Hill Road, close to the Highway 17 over crossing, and later on Lark Avenue. (Lexington Reservoir is located further down the highway and a break in the dam would bring tons of water screaming down the highway 17 corridor.) Seemed like a wise idea, given that we have that and also Vasona Lake right here. 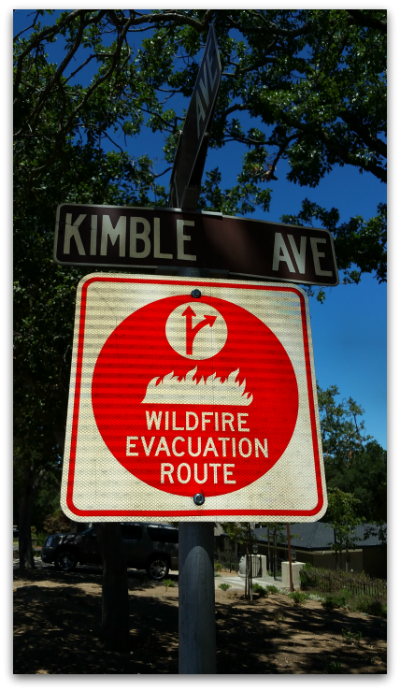 Additionally, though, last week I saw a “Wildfire Evacuation Route” sign too. It was located on Prospect Avenue and Kimble Avenue, across from the new Sorellas housing development which is currently under construction by Summerhill (formerly the Holy Names Sisters convent and Casa Maria Montessori School). If you live in a woodsy or mountainous area, the odds are good that your property is located in a zone earmarked as high risk for wildfires, and you’ve been notified that brush must be cleared 100 feet away from your house or structure annually to create “defensible space”. (Some of the best Los Gatos real estate can be found in those areas!) What isn’t always so apparent is where to go in the case of a wildfire. These new signs should help to improve safety in case of a serious fire. What kind of a home can you buy in Los Gatos for $1.25 million? How far does your money go in Los Gatos when it comes to buying a home? As always, location is the biggest factor – and within that arena, schools are often a driving factor on pricing. Today we’ll look at real estate buying power of 1.25 million by zip code and high school district (95030, 95032, 95033). For single family homes, the 95030 zip code with Los Gatos schools tends to be the priciest (this is probably at least in part because many home buyers find living near downtown LG to be very desireable). and the Los Gatos Mountains area tends to be the least expensive of the three areas. As you can see in the chart below, the cost of housing is very much graded by both the zip code and the school district. What about the Los Gatos condo and townhome option – how much home can 1.25 million buy there? In the last 90 days, there have been only 15 closings of townhouses and condos combined in Los Gatos 95030 and 95032 (there are none in the mountains or the 95033 area) and in both high school districts, so that’s pretty scant info to go on. 95030 & Los Gatos High – just one townhome sold at any price for $960,000 (list price was $949,000 with 1500 SF, 3 bed, 2.5 baths ($568.72 per SF) * Just one sale in here, and not “in range” makes this info less helpful than we’d like it to be. Normally this area would be more expensive per SF. 95032 & Leigh or Westmont High – 5 sales in the $1 mil – $1.5 million range, av list price $1,108,300 and av sale price $1,162,000. Average home size 1,657 SF and average price per SF $708.77. It is possible to get a nice Los Gatos home for under 1.25 million but if you want to live in downtown Los Gatos with the 95030 zip code and Los Gatos High, it will mean getting a small home! You could get a larger place “in the schools” if you are OK purchasing a townhome. 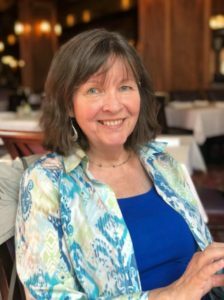 Or go a little further out to get much more “home for the money” – quite a bit more if you go into the Los Gatos Mountains.